Christmas can be a really stressful time of year, whether you live with a mental health problem or not. There’s pressure to socialise with friends and family, more temptation to overindulge in food and drink and of course the financial strain that presents and celebrations can put on your bank balance. 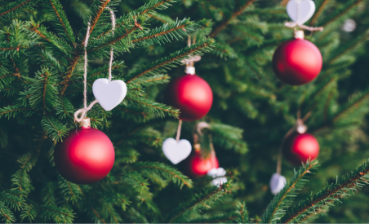 Below we’ve got some tips on managing your mental health at Christmas, and some ideas for staying well over the festive period. Although alcohol can initially make you feel more relaxed, it’s important to remember that it’s a depressive and drinking too much can make you feel irritable, aggressive and low. Staying within the recommended limits will also mean you’re much less likely to end up with a hangover! There’s a tendency to over indulge at Christmas, and there are always lots of tempting treats lying around. But it’s really important to maintain a healthy diet as this will help you maintain a stable mood, and should help prevent irritability and mood slumps. Over the festive period, lots of us find that our sleep patterns become disrupted. We often stay up later than usual, and don’t always catch up on the sleep that we’ve missed. There’s lot of evidence to suggest that not having enough sleep has a negative impact on your mental health, so if possible, do try and head to bed at your usual time every night. It’s also worth remembering that drinking alcohol can have an effect on the quality of your sleep. Sometimes, the last thing we feel like doing is talking to people. You might be feeling anxious, or overwhelmed, or just not very sociable — but connecting with other people has lots of benefits for your mental health. Talking through things that are worrying you can be really helpful, just sharing whatever it is can help you feel supported, and listened to. Christmas can also be a really good time to get in touch with people you might not speak to regularly — and you never know who might need a listening ear. Connecting with people is also a really good chance to do some good. You could find somewhere to volunteer or offer to help out a friend of family member who’s got a lot going on over Christmas, it’s proven to help your mental health by boosting your self-esteem and improving your mood. It can be difficult to motivate yourself to exercise during the festive season, but it really can make a difference to your mental health. Go for a hike or walk to enjoy the weather, or join a yoga class. Any movement helps. Regardless of what’s happening, it’s ok for you to need time out. You know yourself best, and if you need to spend some time relaxing, you should. Some people find mindfulness really useful when things are getting stressful, while others prefer to exercise, or spending time on a hobby, like colouring in or reading. Special thanks to Mind UK for the content.